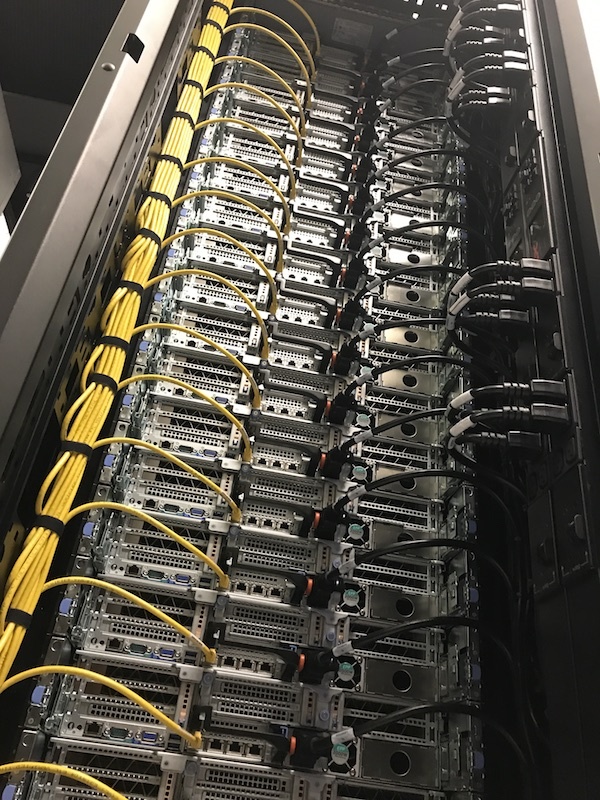 The University of Michigan has selected Dell EMC as lead vendor to supply its new $4.8 million Great Lakes computing cluster, which will serve researchers across campus. Mellanox Technologies will provide networking solutions, and DDN will supply storage hardware. 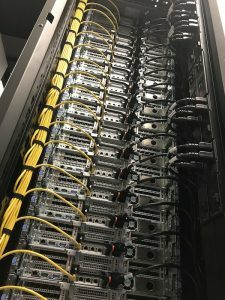 Great Lakes will be available to the campus community in the first half of 2019, and over time will replace the Flux supercomputer, which serves more than 2,500 active users at U-M for research ranging from aerospace engineering simulations and molecular dynamics modeling to genomics and cell biology to machine learning and artificial intelligence. Great Lakes will be the first cluster in the world to use the Mellanox HDR 200 gigabit per second InfiniBand networking solution, enabling faster data transfer speeds and increased application performance. “DDN has a long history of working with Dell EMC and Mellanox to deliver optimized solutions for our customers. We are happy to be a part of the new Great Lakes cluster, supporting its mission of advanced research and computing. Partnering with forward-looking thought leaders as these is always enlightening and enriching,” said Dr. James Coomer, SVP Product Marketing and Benchmarks at DDN. Great Lakes will provide significant improvement in computing performance over Flux. For example, each compute node will have more cores, higher maximum speed capabilities, and increased memory. The cluster will also have improved internet connectivity and file system performance, as well as NVIDIA Tensor GPU cores, which are very powerful for machine learning compared to prior generations of GPUs. 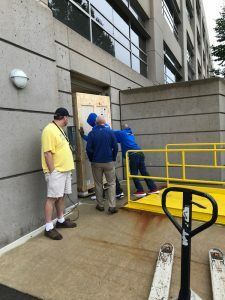 “Users of Great Lakes will have access to more cores, faster cores, faster memory, faster storage, and a more balanced network,” said Brock Palen, Director of Advanced Research Computing – Technology Services (ARC-TS). The Flux cluster was created approximately 8 years ago, although many of the individual nodes have been added since then. Great Lakes represents an architectural overhaul that will result in better performance and efficiency. Based on extensive input from faculty and other stakeholders across campus, the new Great Lakes cluster will be designed to deliver similar services and capabilities as Flux, including the ability to accommodate faculty purchases of hardware, access to GPUs and large-memory nodes, and improved support for emerging uses such as machine learning and genomics. ARC-TS will operate and maintain the cluster once it is built. Allocations of computing resources through ARC-TS include access to hundreds of software titles, as well as support and consulting from professional staff with decades of combined experience in research computing. Updates on the progress of Great Lakes will be available at https://arc-ts.umich.edu/greatlakes/. CSCAR now provides walk-in support during business hours for students, faculty, and staff seeking assistance in getting started with the Flux computing environment. CSCAR consultants can walk a researcher through the steps of applying for a Flux account, installing and configuring a terminal client, connecting to Flux, basic SSH and Unix command line, and obtaining or accessing allocations. In addition to walk-in support, CSCAR has several staff consultants with expertise in advanced and high performance computing who can work with clients on a variety of topics such as installing, optimizing, and profiling code. Support via email is also provided via hpc-support@umich.edu. CSCAR is located in room 3550 of the Rackham Building (915 E. Washington St.). Walk-in hours are from 9 a.m. – 5 p.m., Monday through Friday, except for noon – 1 p.m. on Tuesdays. See the CSCAR web site (cscar.research.umich.edu) for more information.